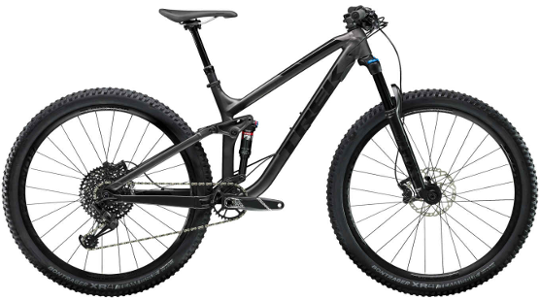 Trek's Fuel EX 8 is made for local trails and long rides on the South Downs National Park, making it a TriStore favourite! 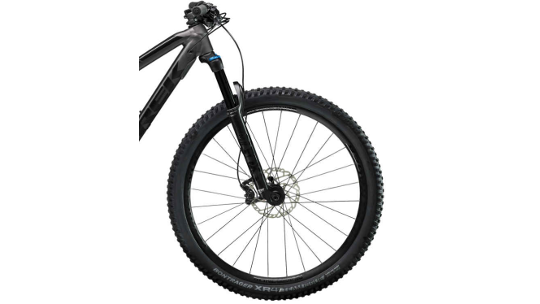 Built with Fox Suspension forks that provide 130mm of travel at the front and rear that help promote a smooth ride whilst on the rigorous terrain, you can enjoy the undulating landscape the South has to offer. The EX 8 is kitted out with SRAM's GX Eagle 12x1 components that provide the latest technology in 1x groupsets. Running 1x makes changing gear far easier with a wide range of available gears thanks to the 10-50T cassette and no risk of mud getting clogged up in your front derailleur. Trek's componentry brand Bontrager supply the dropper seatpost making for quick on-the-fly adjustments whilst out on the trail. Finally, Alpha platinum aluminium means the frame is super strong yet relatively lightweight meaning it can take anything your ride has to throw at it. All the gear ... Every idea! A lightweight Alpha Platinum Aluminium frame, SRAM GX Eagle 1x12 drivetrain with a wide-range 10-50 cassette, Tubeless Ready Bontrager Line Comp 30 wheels with a 54-tooth Rapid Drive hub for quick engagement and a Bontrager Line dropper post for on-the-fly saddle height adjustments. The 130 mm front and rear FOX suspension with Trek's exclusive RE:aktiv damper is enough to go big while staying fast on the flats and climbs. It's a trail bike that is fully capable of keeping up with whatever you throw at it. 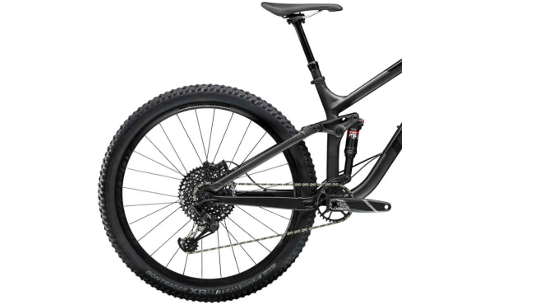 It has the same frame and suspension tech found on our top-of-the-line trail bikes, with the SRAM GX Eagle 1x12 drivetrain that delivers a huge range of gearing with the simplicity of a single gear lever.